The Mega Curry Mela Round Up ~ Part 2! Well certain things have kept me away from posting regular things, so I am kind of happy that I have the round up to post, to get back my regular form in action. Please do try to click on each and read and visit the bloggers who has sent in. Let me not waste much time in talking, lets proceed. These are going to be treasured a lot, I am sure! From Ramki we have his awesome cookbooks that are easy to use. He has collected quite a few like Muglai Curries, Benares Curries, 1001 Korma, 1001 Kulambu and 1001 Aviyal. Well so many on hand, I don’t think anybody would want any more to refer! Then comes the beautiful Brinjals on Parade! I know there are quite a few who don’t like Brinjal. But my Dad loves and I am sure I am going to try these for him or get Amma know these varieties to make for him. How many names can you call a vegetable? Well this is what baffles Bhagyashri, when she came to know that our good old brinjal being called by different names. But whatever its called the stuffed version for sure has lot of takers! 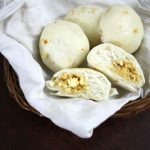 Gutti Vankaya Kura is famous in Andhra and yes you have many versions to it. And Cinnamom makes it by stuffing it with a different masala and there by creating yet another delicious one for us to try! 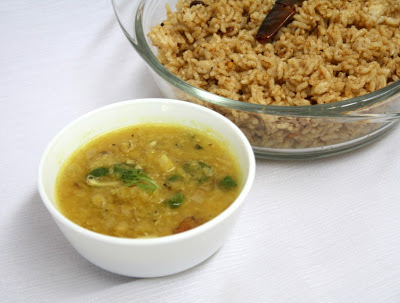 Illatharasi dishes out the yummy marriage breakfast – Vengal Pondal and Brinjal Gojju. go to any South Indian Marriage, and you are sure to be served this! What a lovely combo it makes! From the Food lovers, comes this lovely Brinjal curry all spicy and delicious! I am sure my folks would’ve liked what Pavani made for them! From Plantain Leaf comes a yummy gravy made with brinjal. Rekha says this is from her mom’s kitchen, so I am sure it would taste great! This is the first time I came to know that Puries are great combo with Biagan bhartha. But then of course, anything taste great with pooris. Suma Rajesh, back from trip makes this exciting combo that she likes very much. 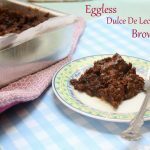 Though she makes it a different way from the usual method, you got to check it out! Ok I have heard so many things about gotsu, not knowing whether its the gojju we make. Looks like Vibaas also has the same doubt and sticks to calling it as she is used to it. Whatever its called, the dish is a delightful one for eggplant lovers! Now if you like the flower, you won’t miss these out. Well I am referring to the Cauliflowers! Aparna brings in a fry made with Cauliflower and peas. Well you might wonder why this is not gravy, I make it the same way and add water. So I know how delicious it will be with Rotis. 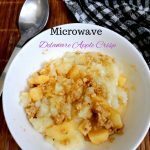 Now have you ever thought of cauliflower in mango. Well that’s just what Rekha has for us by making a gravy with Cauliflower in mango gravy and she serves it with Puri. Wow that does look great! Now who won’t like Gobi Manchurian, and Sangeeth comes out with yet another version of this yummy dish! When a dish has a name of a place tagged on to it, it makes it all the more exciting. I can almost feel the love and passion of the people passed on the dish. And Amritsari Gobi Mutter from Sireesha has that lovely look! Coming back from a long vacation, Mala gets busy making this great looking subji made with phool and mutter. She says adding a coconut touch takes this to a next level..
Well you may ask whats different with curd, but it does add lot of taste and body to the gravy you know! Statistics depend on what you have. And when its a gravy you want for a meal, the Ann says go for Easy breezy Curd curry! Well her curd curry sounds very simple not to say yummy! 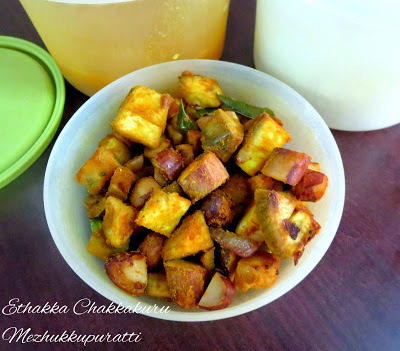 Manisha takes us for a trip to Rajasthan with her Gatte ke Sabji. I know how yummy it is when I tried my hands and on top her picture looks so delicious. She promises more traditional ones, so its sure going to be a treat! Prajusha comes with this traditional kerala dish make with winter melon. Imagine the wonderful taste that will give to the curry and that too eaten with brown rice! Do you remember your first dish that got you into cooking. Well this is Purva’s first one to get interested in cooking. And by the looks of this Gatta Curry, there are marks of great chef. 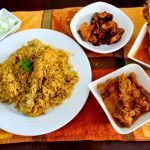 Vibaas posts her all time favorite dish, Avial. And she says she likes it more because its quick to make and tastes great. Ok, how about the many different curries you can with so many vegetables? Well now comes a line of curries with different walks of veggies! Maybelle’s Mom is always in a hurry to make something different! This time she comes with a gooseberry curry. Seriously I never knew one can make. and on top the way she raves about sure makes it tempting! 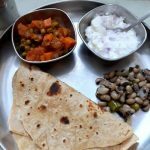 Medhaa writes about an traditional bhajji made by her granny. So going by that we can say how authentic and yummy this must be. For those who don’t like cabbage, this surely gives a life! For Nidhi, its always been simple comfort food at home while growing up. So she craved for famed ones. Only to realize the famed ones don’t hold much in front of simple everyday food. 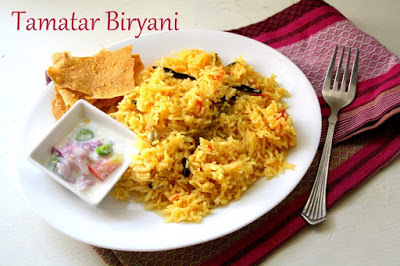 What can be more wanted than this one, which was cooked very often at her parents place! Philosophies in life are such that when you read you feel nice. And yes reading Priya talk about the feeling of being a middle child, and her analogy of a tackling an 18 inch snow by walking in the middle, makes her realize the merit of being the middle child. Well in the same breath she talks about the favorite curries that her mom makes for her. It sure looks yummy! Poornima’s blog blushes beautifully with strawberry flavors. I landed there to find all healthy dishes! This time she makes curry with Drumstick leaves. This is a specialty coming from the Malabar hill! Rajee talks about royals and their dishes and one can’t miss out Ghatte ki subji, if you talk to talk about Rajputs. I enjoyed the Ghatte ki subji that I had prepared and Rajee says she finds it easy to prepare on a busy weekdays! Ramya has a Red Cabbage Curry to share, which she adapted from a popular cookbook. And I am sure she enjoyed the lovely curry! Delhi Belle comes balle balle with a Yellow Curry all the way from Thailand via Singapore to the curry mela. So how can I say no to such a lovely and loved dish! Renuka shares her woes of her dear hubby, not complimenting on her wonderful dishes. But then he must be so used to her wonderful cooking, he thought there was no need. Still she was finally able to get him agree when this corn masala was served. Looking at it, its no wonder of course! Sireesha dishes out the famous Kolhapuri specialty, the vegetable kolhapuri. 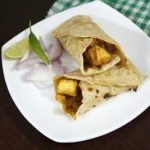 The masala is famous in giving that typical colour and taste to the dish, so try out this yummy looking one to be served for roti! Ok I always wanted to taste Pulisser. Maybe I have during my many trips to kerala, but associated them. Once when I actually knew what it is and how it looked, I knew Skrible’s mango pulisseri would be awesome! 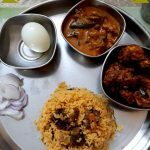 Sowmya makes an yummy chettinad curry for the first time and gets hooked to it. Well I have always been a fan of this cuisine and its no wonder it getting liked by all! 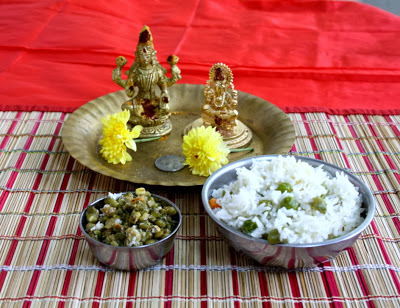 Srividhya sends in her kid’s favorite dish which is also very good for health. Basically I know drum stick curry tastes great, so with sambar powder, it must have been awesome! Well I don’t’ have to talk about the awesome pictures that Suganya captures for even a simple dish. And nothing can get more simpler than a Cabbage bhaaji, yet it looks out of the world.She talks about the famous Samaithu Paar cookbook, so I am really glad that she did something specially from that for this event! What will you do when you have so many events going on and you are on the verge of going off on a lovely vacation? You can disappoint anybody nor feel bad that you missed any right? Well Suja does just that and makes one stop dish to knock out all the events. But say what, that dish looks so lovely, that I will take a second helping too! 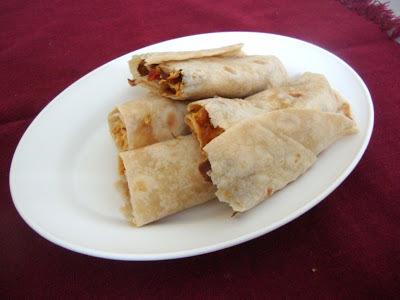 Suma Rajesh makes this great looking dish for dosas. What I couldn’t believe is that its made with Sweet Potato. It really looks fabulous! 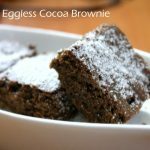 Sweatha brings out a childhood treat which is very simple to make! The ulli means small onions in malayalam and its roasted to bring out the flavour. One summer evening when Tee was not in a mood to cook anything that was spicy or oily, she just took what came to hand and created this beautiful looking stew! Though she got the idea from a friend, she skipped most part to just indulge in her favorite coconut milk and prepared a stew out of it…how nice! Now not being enough to blog on beautiful dishes, Vibaas gets her sil to make another. That Peas Masala looks ready to be gobbled down! I said no to dal based curries but there is nothing against Dal being in the gravy right., right? Trust Divya to come up with dishes that has names that I can’t pronounce even if I have to stand up side down. 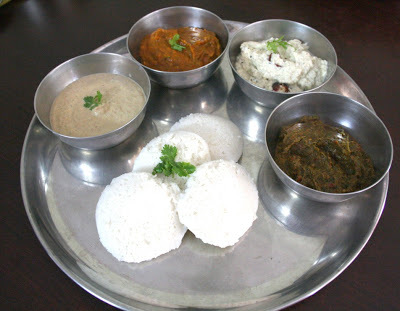 Well, it’s an another konkani special and its good while you are in diet. Are you on a diet, well I am not but still thats lovely enough to tempt me! EC makes this lovely triangle puri and makes a moong subzi. Its really interesting to know that different shapes can actually make it more delicious! Imagine I have been after dear Mandira for ages to send me only authentic Bengali curry and the day she does, I fail to check it out. I even go and ask her to send again. Mandira’s space is one to sure hook you, with her beautiful pictures and mouth watering dishes! And it can’t get any better than Dhokar Dalna, one lovely looking dish! Medhaa being fond of beans sprouts as used in Chinese cuisine, makes them take a change in form into a desi curry, none other than beans sprouts curry. This goes well with rice. 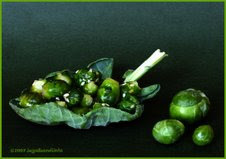 The crunchy taste that these sprouts lead makes the curry quite a nice dish to have! Alsanda or the black eyed peas are wonderful. They give such body to the curry and looking at Meera’s Alsandiye Kolumbo, it makes it more obvious that this is one lentil thats liked by all. If you love moong and coconut, then this curry is for you. This is a specialty of Maharashtra, where they make this to break their fast that they have shravan somwar! This brings back fond memories of her aunt, so I can understand how much love must’ve gone into it. Well this madam finally came about to send an entry! 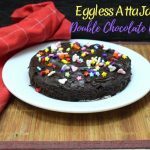 Nams always said she wanted to send me an entry for the melas, but when all she blogs about, are some awesome cakes and other fancy stuffs, how can she send, unless I do a cake mela?? But I was glad she finally did Dal Makhani, which suits me perfectly! Padma makes a beautiful Kura with Alasandalu or the black eyed peas. All her pictures always come out great and this is no different. She always goes to great leagths to present things in the most beautiful way, I wish I had half her talents!If you are looking for a recipe to work with Long Beans, then Priti has one for you. This I am sure will work out great! Renuka comes up with a side dish made with double beans. Its been really long since I cooked it, so it was lovely seeing an entry with it.! 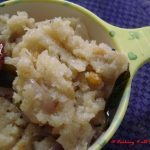 Sangeeth makes a moong dal thats makes a very healthy side dish and very quick to make. Not just that, being very conscious of the health factor, she also give a nutrient breakup…way to go Sangeeth! She needs no intro, for she has a treasure trove that covers everything you can think of under authentic karnataka dishes. And this time Shilpa makes a Maseda, which is gravy made with mashed dals that is famous among the Kannadiga people. Where is the guard, here comes the Gourd varieties to parade! 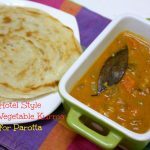 We always make a dal with ridgegourd, so seeing a toori curry with tomato base is something awesome! Of course when Alka does an aerobic to get the right angle, it doesn’t go wrong! After landing in their beautiful blog named Delectably yours, I can only say that I was most happy getting this from them. 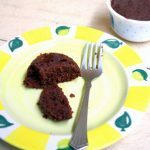 Its a lovely blog that talks about cooking adventures undertaken by N and A, have I got it wrong..well thats ok…N cooks this to please A as this is his mom’s famous one! Another classic from Maharashtrian cuisine is this Bhoplyacha Rassa – Pumpkin Curry from Meera. The picture so beautifully captures the wonder of the pumpkin in a curry. It looks so refreshingly cool! Radhika remembers fondly of the time they used to get loads of bottle gourd from her granny’s place. Well a bout of illness kept her away and think what her hubby got. A bottle gourd ready to drown into something other than sambar!! Shreya is always eager to participate in food events but amply forgets every time. So I must say I am very happy that she remembered and prepared something for the curry mela. 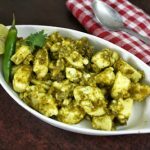 I know there are lots of bitter gourd lovers out there, so this masala will be surely sought out! Shriya makes yet another dish from her Mil. Well what better way to get the hubby dear your way than making a dish that he grew up with..
As if its not enough for me to be so stuck up on my memories, she goes on with hers and I am drafted into another world every time I read her post. Yes Sia is great story teller and she can go on till she hooks you and this time she talks about Bharwan Lauki, which sounds and looks exotic! Finally, comes the 4 K’s, Kadhi, Kofta, Kootu, Kuzumbu. Each so different, yet so beautifully blended into culture, cuisine and our taste! 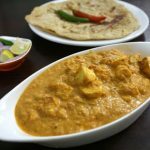 For everybody, there are always comfort foods and for Roma and her family, its Phulauri Ki Kadhi. It was really interesting to not that this kadhi, made with besan dumpling is served with steaming rice and mirchi ke pakode. What a wonderful combination. I can relate how tasty this must be as we have something very similar! Rupali comes out with a beautiful looking kadhi. 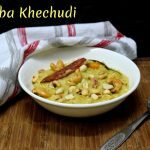 Kadhi is made with chickpea, curds and has a distinct flavor. And it also contains pakodas. 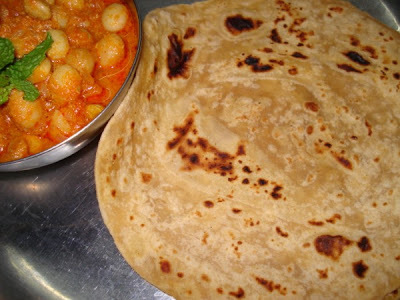 I remember eating these in my guju friends place and have since wanted to make, but never came around! 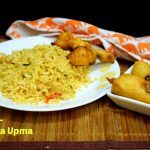 Sireesha makes a Kadhi Pakoda which is a famous North Indian dishes. She is sad that this is not so frequently featured in a restaurant. I have never actually tasted and so wish it was! Archana, a new blogger around the corner sends this lovely Kofta curry. 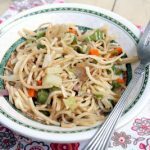 You should check out her other dishes, as she has packed some interesting ones in such short period! Trust Jayasree to come up with such innovative koftas. Yeah, this is the first time I have heard a kofta being made with yam. And that picture surely doesn’t reveal its secrecy. Am sure dipping those lovely pooris into this would’ve tasted great! Purva makes a twist to the simple lauki and comes up with this kofte curry! And she says though I find the list a little long, its very simple to make and an easy one for one who wants to start. Well if she says so, I am sure it must be surely simple and great to feast! With brussel sprouts sitting in her freezer for days, Vibaas finally thought she ought to make her granny’s kootu. 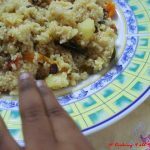 Well you should know the timing when she gets this urge, its past midnight time in the other parts of the world, and she has only net as her nirvana!..Well the resultant kootu was tasty yet she says she will get her paatis recipe…hope she does! And not to mention the Chow Chow Kootu from her! If I like Kozhambu, its always been araichu vitta kozhambu. Araichu vitta means, ground and added. Ahh..the taste is impeccably arousing your senses! If you haven’t tried one yet, then you got to try Miri’s delicious combo with dosa, btw that dosa is calling me! Viji’s Weekend Brunches are a die spreads. Every week I make sure I check them on for inspiration! She never fails to make me say wow. Each and week each its a different combo and all colourful. So this is yet another lovely spread of dishes, the star being the Milagai Pazha or a Kuzumbu fresh cayenne pepper! 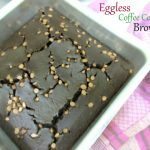 Vysh’s is one of those wonderful blogs I got to discover through this mela. She makes her favorite curry with milagai which is tangy too. Its simple yet tastes great with Rice. That was a wonderful curry parade! Great and well written roundup again! Beautiful and well organized round-up Siri! wow… amazing round up… Very neatly presented..
Amazing round up Sri..so many curries,can’t decide which one to check out first…all are equally tempting.Kudos to you for coming up with such a mega round up!! WOW… This is a nice round up…. 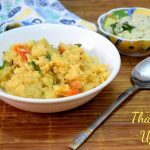 Thanks Dear Srivalli for this ultimate round up on Curry mela..
As usual I love to read your round-ups, you add that personal touch in briefing about the participants and theirs entries… kudos girl, I have so much to learn from you! Thts a huge task….if i had been at ur place i wud had pretty lost in somewhere midway! Keep the good things going…. Lovely roundup srivalli. When I am looking for curry recipes I know where to come. So many recipes i am confused which one to try. wonderful curry lines…well done srivalli..
Hey Srivalli, thanks for the wonderful curry mela roundup…sorry couldnt send in the entries-out of sheer laziness and a little bit of lack of time…. There is no post from 2 days 🙁 Hope everything is ok ! Am very disappointed with myself for not taking part in this beautiful mela …. will definitely next time. 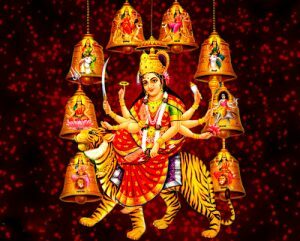 Have a great Navaratri festival! Thanks Srivalli. It is great idea to round up everything. Thank you everybody for your sweet comments. Thanks Asha…hope you got my mail back. Viji, Thank you. Yes we are keeping our fingers crossed for that. hi sri…thats a lot of work u have done.kudos to u! !